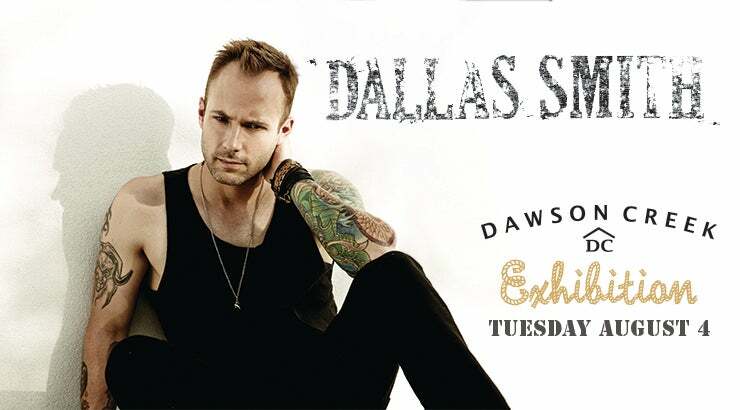 Dawson Creek Exhibition Association (DCEA) announced in December 2014 that recording artist and multi time Canada Country Music Awards nominee Dallas Smith will be preforming at the 2015 instalment of the Dawson Creek Exhibition & Stampede on August 4, 2015. Joining Dallas Smith for his performance will be Special Guest Heather Longstaffe. 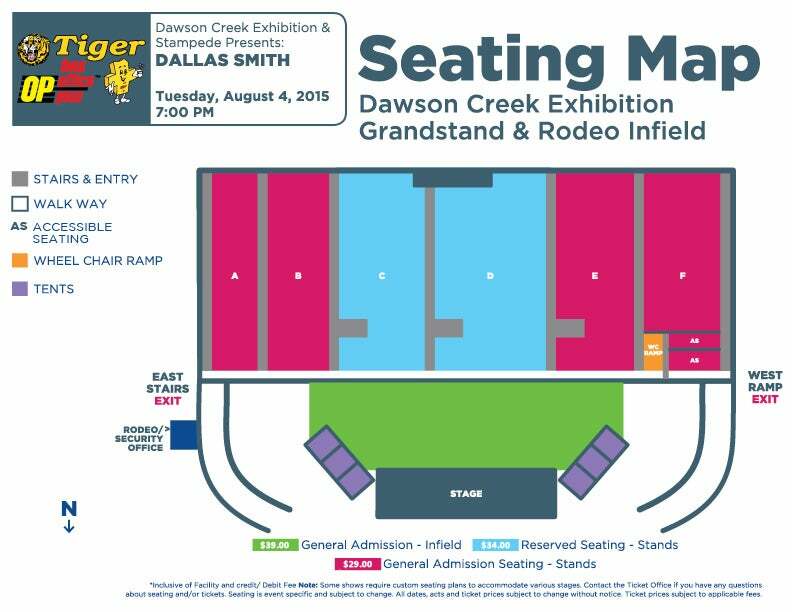 TICKETS: Tickets are only available to be purchased at the Dawson Creek Exhibition and Stampede Grounds today (August 4) - If you bought tickets and selected WILL CALL, they are available to be picked up as well at the Rodeo Grounds Today! DALLAS SMITH, ten year veteran and front man of the successful Rock band Default, has stepped on over to the world of Country music. And what a successful step it has been! His debut album Jumped Right In immediately shot to the top of the Canadian Top 100 Neilsen Soundscan Chart, peaking at #19 and #4 on the Country Album Chart. An unprecedented five Top 10 singles, “Nothing but Summer”, “What Kinda Love”, “Jumped Right In”, “Somebody Somewhere” and “If It Gets You Where You Wanna Go”, emerged from his first country music project. His sophomore album “Tippin’ Point” is an infectious party anthem that serves as the perfect prelude for what is to come. The title track “Tippin’ Point” has become an anthem for the summer of 2014. “A Girl Like You” and “Wrong About That” lend added weight to the fact that there is nothing “Slow Rollin’” about this BC Boy! To Dallas, country music has always been about the “special combination of voice and song.” He says, “I’ve always chosen and written songs with challenging vocals that I love to sing.” That credo landed DALLAS SMITH in the middle of the 2013 CCMA Awards with five nominations including Album of the Year, Male Artist of the Year and Single of the Year. For More information on DALLAS SMITH please visit: www.dallassmithmusic.com. 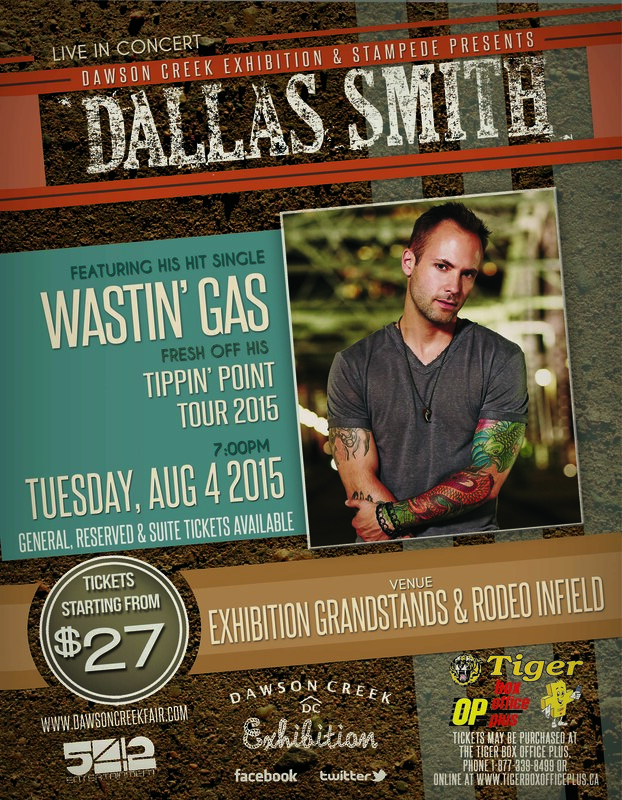 WILL CALL - Tickets placed at will call can be picked up day of show at the Dawson Creek Exhibition Grounds. Code of Conduct & Prohibited Items List: Prohibited items include but are not limited to: outside food or drink, carry bags or backpacks, bottles or cans, containers, illegal substances, incendiary devices, weapons of any type,banner sticks or flag poles, artificial noise making devices, laser pointers, helium balloons, audio or video recorders, pets other than service animals, professional cameras, or items the contents of which cannot be inspected or displayed. We take your safety seriously. Smoking and Re-Entry Policy: There will be no re-entry and no smoking at the grounds. 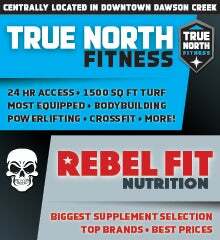 Please watch for signs and other information on site.